Immobilization: Provides a means of separating binding partners from unbound molecules in solution. Achieved through adsorption, or adherence to plastic 96-well plate. Antigen: The binding partner, or target of the antibody. Typically the immobilized molecule. Antibody: At least one polyclonal or monoclonal immunoglobulin which specifically recognizes the antigen. Detection: Some means of signaling to quantify bound vs unbound antigen or antibody. Options include colorimetric, fluorescent, or luminescent technologies. These fundamental elements can be combined to create many formats including Direct ELISA, Sandwich ELISA, and Capture ELISA. The distinguishing characteristics between them is which component is immobilized, how it is recognized, and what is detected. More elaborate assays can be created through combinations of the 5 basic formats, however for the sake of simplicity, they are outlined below in their most basic form. Direct ELISA has the simplest format, requiring antigen to be adsorbed to the plate and then bound by a labeled "detection" antibody. "Direct" refers to the first and only antibody acting as both the antigen recognition molecule and signal delivery molecule. This contrasts with an "indirect" ELISA which separates the detection and signaling tasks between "primary" and "secondary" antibodies. An indirect ELISA detects the plated antigen with an unlabeled antibody, which is then detected with a secondary antibody carrying the means of signaling. Whereas the benefit of a direct ELISA lies in its simplicity and speed, the additional steps between antigen binding and signal detection with indirect ELISA formats have their own merits. By utilizing a secondary antibody for signal delivery, indirect ELISA formats allow for use of a modular secondary antibody that recognizes the constant (Fc) region of the primary antibody. Labeled secondary antibodies can therefore be utilized across many different ELISAs and the primary antibody need not be modified. Primary antibodies are typically monoclonal, a precious and expensive resource, whereas secondary antibodies are typically polyclonal, cheaply and quickly produced. Beyond cost, this combination of monoclonal primary and polyclonal secondary also allows for improved performance via signal amplification. As polyclonal antibodies are comprised of many different clones, each recognizing their own epitope, they can bind multiple sites on the Fc region of the primary antibody. In the above example, multiple labeled secondary polyclonal antibodies would decorate the blue primary antibody. A direct ELISA's detection is limited by the degree of labeling of the sole antibody in the assay. An indirect ELISA may bind 2 to 3 secondary antibodies when a polyclonal secondary is used, and therefore possess 2 to 3 fold greater signal per each primary antibody. Direct and indirect ELISA methods may be extended to all the variations discussed below. The differentiating feature of a sandwich ELISA is the adsorption of a "capture" antibody to the plate. Antigen is bound, or captured by the plated antibody and then "sandwiched" between the capture and a detecting antibody which recognizes a distinctly different epitope on the antigen. A major benefit of a sandwich ELISA is the ability to specifically measure antigen from impure samples. Rather than adsorb a crude sample to the plate, capture antibodies provide the assay specificity and decontamination qualities. The opportunity for indirect detection is also available in a sandwich ELISA. The detection antibody would not carry the signal but rather be targeted by yet a third antibody which would impart the signal to the assay. A similar technique to sandwich ELISA is a "capture" ELISA which uses an avidin biotin complex to retain antigen to the plate. Adsorption to ELISA plates requires some degree of hydrophobic and charge interactions which may negatively affect the structure of the antigen, and subsequently inhibit antibody recognition. By adsorbing large tetrameric protein avidin, biotin labeled antigen can be immobilized , yet avoid adverse plate-antigen interaction. Additionally, avidin-biotin-capture distances the antigen from the plate. Increasing the distance from the plate allows for 3 dimensional access to the antigen whereas direct plating could sterically obscure access to epitopes. 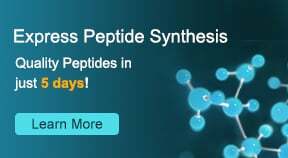 The avidin capture method could also be an advantageous technique for recovering biotinylated antigens from complex samples. The final possible ELISA category is "competitive". It is similar to a direct ELISA in that antigen can be directly adsorbed to the plate. However, the detecting antibodies are pre-incubated with samples containing unknown amounts of antigen prior to application to the plate. Samples with more antigen will occupy binding sites on the primary antibody, thereby blocking it from binding to plated antigen. Conversely, samples with less antigen will have more antibodies available to bind to the plated antigen and return a higher signal. In a competitive ELISA, the signal returned is inversely related to the concentration of antigen-antibody interaction in the sample. Titration of known amounts of antigen to create a standard curve on the same plate is required to quantify available antigen in the unknown samples. The competitive technique can be merged with both capture and sandwich formats. Indirect detection can also be utilized. Plates: Variations in plate chemistry may result in differential antigen adsorption efficiency and non-specific binding, affecting signal to noise ratios. ELISA plate geometries can also affect plating efficiencies and ultimately, final signal strength. Side by side comparison of alternative plate chemistries and geometries should be performed to determine best practices for your ELISA. 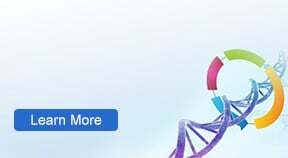 Should you suspect that plating chemistry is limiting your ELISA performance, testing with a capture ELISA format may prove useful as it removes the potential of epitope masking or conformational changes. Antibody Affinity: ELISA performance is highly dependent upon antibody affinity. Different clones will perform better than others at matched concentrations. While affinity is not easily addressed aside from creating or finding alternative antibodies, titrating concentrations will optimize the quantity of antibody used and, within reason, accommodate for even low affinity antibodies. Negative controls are crucial as increasing antibody concentrations risk driving of non-specific binding. Antibody Clonality: Use of monoclonal or polyclonal antibodies as capture or detection species will affect the sensitivity of the assay. There are two competing theories regarding antibody clonality in ELISAs. While monoclonal antibodies offer specificity, they typically return lower signal due to the limited epitope recognition. Polyclonal antibodies may recognize more epitopes per antigen, but even with affinity purified polyclonal antibodies they inherently bring with them unwanted cross-reactivity potential. Regarding a sandwich ELISA, while a monoclonal capture antibody will recover only specific targets from a sample, a polyclonal capture antibody will recover the maximal amount of target, but with some non-specific binding. Either clonality of antibody may be used as the detection reagent, again with the same specificity caveats. Sample quality undoubtedly affects ELISA performance. Complex samples would likely benefit from the specificity of monoclonal antibody capture, whereas samples with simple composition, but low target concentration would benefit from a polyclonal antibody capture. Yet again, empirical testing will reveal optimal clonality use, or combinations thereof. Signal: Enzymatic signal development provides robust detection, although care should be taken to optimize development time, temperature, and volume prior to quenching the reaction. Too little time or too low temperature may blunt signal generation, whereas too much time or temperature could allow for increased noise. Volumes are normally limited to well sizes, but this too should be maintained constant throughout testing and study periods once optimized. If sufficient signal is detectable, fluorescent reporters may also serve to measure multiple targets simultaneously, with fluorescent labeling of the detection antibody allowing for simplified protocols. Beyond the above list of applications, ELISA technology is even found in common, over-the-counter diagnostics such as home pregnancy tests. These types of tests are termed "dip-stick" ELISAs which utilize lateral flow and the principles of a sandwich ELISA. Capillary action first draws sample through a region which contains unbound detection antibody and then through a region which has immobilized capture antibodies also specific for the analyte. While this simplified version of the ELISA does not offer quantifiable results, the high speed and low cost makes it ideal for use in point-of-care and home testing environments. 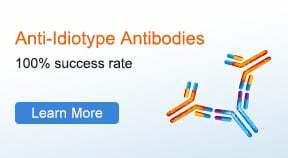 Anti-Idiotype Antibodies making PK or PD testing of therapeutic antibody drugs easy as they only detect the CDR of the target antibody. High Throughput Gene to Antibody Service providing up to 1mg of recombinant antibodies in as little as 3 weeks for quick screening. 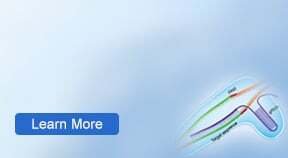 With 12 years of experience developing customized antibodies, your project is in expert hands. Get a quote today!